Help service establishments may differ substantially from those applicable to your use of the Tech Help web site. Legal Notices, you agree that your sole and exclusive remedy is to discontinue using the Tech Help web site. public or commercial purposes without written permission from an authorized representative of Tech Help. proprietary rights, and these rights are valid and protected in all forms, media and technologies existing now or developed in the future. allowed by such laws, the copyright in the selection, coordination, arrangement, and enhancement of all content. the transfer or sale, lease or rental of, create derivative works from or in any way exploit any of the content, in whole or in part. express, written permission of the trademark owner. laws of the State of Florida will govern the Legal Notices without giving effect to any principles of conflicts of law. access to these Third-Party Sites and for no other purpose. representation or warranty as to any products or services offered on any Third-Party Site. conditions that apply to your use of Third-Party Sites. misrepresenting the identity of a user, using buying agents or conducting fraudulent activities on the site are prohibited. system or network security may result in civil or criminal liability. United States Treasury Department's list of Specially Designated Nationals or the U.S. Commerce Department's Table of Deny Orders. 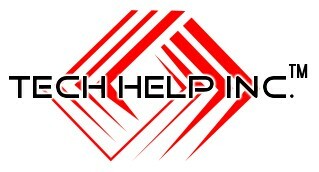 Tech Help Inc., is the owner and operator of the Tech Help web site. Florida 32808. The telephone number for Tech Help is 1-407-491-6023. Copyright © 2006 Tech Help, Inc. All rights reserved.